The OCDSB, as part of its policies and procedures around progressive discipline (intervention is perhaps more accurate), trains its staff and utilizes restorative practices as both a proactive and a responsive way of working with children who have experienced or who have exhibited harmful behaviour, one example being bullying. 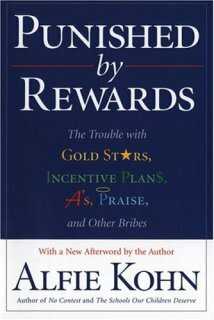 The premise upon which the restorative practices framework is built is that children are generally happier, more productive and more cooperative if they work with the adults in positions of authority to repair harm done to others, rather than have those adults do things to them (i.e., punishment), or for them (i.e., avoid having children take responsibility). Restorative practices is a framework that builds and strengthens a community and the connections within a community. At the school and community level, we are all connected, whether we know each other well, or whether or not we even like each other. What’s important is that we belong to, and are connected with, this community. When an action has occurred that has harmed a connection or relationship in the community (e.g., name-calling, bullying behavior, etc. ), restorative practices allows for the harmer and the person harmed to come together to express their thoughts and what they each need to move forward. The focus is on repairing the harm done rather than on punishment as a primary response (but this does not necessarily eliminate the use of corrective measures as we move down the continuum of responses to negative behavior). What’s wrong with punishing children for behaving badly? One must think to what the goal is for punishing – most often it’s to make the child or person change his or her behavior. For many children and youth, the idea of “getting in trouble” is often enough for them to either not engage in the negative behavior in the first place, or to avoid doing it again in the future. However, there are also many children where, no matter how often you consequence them, they continue to engage in actions and behaviors society finds inappropriate and harmful to others. For these children, the consequences are received as arbitrary, and with no real context to what they were doing. In the short term, we may see changes, but behavior rarely changes in the long run. Notice that a child is never asked why they did or said what they did, and this is very deliberate. By asking why, it allows a child to try and explain away their behavior – in effect, make an excuse – and making excuses bypasses the ability of a child to accept responsibility and they focus only on justifying their behavior. These questions focus on the action or behavior and the effects on others. A child that has been harmed by words or actions has a chance to express their thoughts and feelings to the other in a safe way. The person or persons who did the harming hear about the effects on the other or others. This just sounds like a way to make a child feel bad about what they did. Isn’t that a little cruel? Absolutely not. Shame for one’s actions is a healthy and necessary emotion for one to feel in order to be functional citizens in our society. With that, we want children to accept responsibility and to take steps to make things right. This is how behavior changes – by having an emotional reaction. We want children to internalize that certain behaviors are unacceptable because they are harmful to others, not simply because they’ll be punished. This is how children develop empathy and integrity. And by working together in a safe and confidential setting to share feelings and make amends, and forgive, we help shape those characteristics in our kids. So what happens with restorative practices at the school? When a harmful behavior has been reported to the office, all children involved are asked the questions, or variants of, the ones listed earlier, by themselves. Each child is asked if they would like to sit together in a restorative circle so that we can all talk to see if we can make things better. Children will only participate if they are willing so that they engage authentically in the process. If at the time a child is not willing or ready, then we wait until they are, and we hold a separate session at another time. The children are again asked the questions so that they all can hear the thoughts and feelings. Participants work together to problem-solve and discuss what can be done to repair the harm. Often a child will ask for, or offer, an apology. This is a wonderful first step, one that demonstrates a commitment to changing behavior. This is discussed as a group, that when a child says they’re sorry, they’re committing to changing their behavior in the future so that it doesn’t happen again. After a session, I check in periodically to see how things are going. Since beginning to use restorative practices, I have seen a decrease in certain behaviors among students. Do you have to have a big restorative circle every time a child says or does something harmful? Not necessarily. Among restorative responses, there is a continuum. Restorative responses can take the form of everything from a quick hallway discussion among two children and a teacher, to a formal circle that invites not only children, but their parents, board personnel (i.e., social worker) and community members. The fundamental shift in how we respond to harmful behavior is mostly in the language we as adults use, and that we allow for the children to become key participants in the outcome. How do I know if my child’s teacher is using this approach in the classroom? Please feel free to ask and discuss this with your child’s teacher. We are all in different stages of learning about it, but the discussions with parents and community are ones that are welcomed and encouraged. As a school, our goal is to embed restorative practices into our overall practice and culture. The International Institute for Restorative Practices has lots of information and resources. Also try Safer Saner Schools for information on how restorative practices can be embedded in school practice. And as always, please contact Principal Mr. Jeff Frith and Vice-Principal Mrs. Erin Paynter should you have any questions. As a staff at Elizabeth Park PS, we have been working collaboratively to implement the components of the Big 5 in our daily teaching and learning. We have been focusing and exploring how to create engaging tasks for our students that invite critical inquiry and creative thinking. Our focus for 2012-2013 will continue to be the task but also how we can give our students timely, qualitative feedback to guide their learning and our teaching.